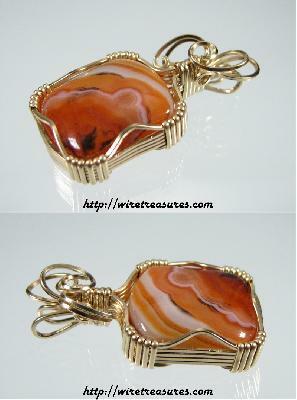 I recently found some of this very colorful Carnelian material, and isn't it interesting! 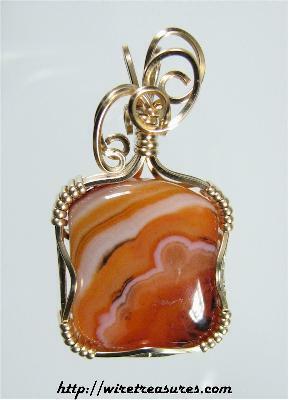 This almost-rectangular cabochon has patterns reminiscent of Lace Agate. I wrapped it in 14K Gold Filled wire and put on a topper that mimics the lace-y pattern in the cab. Cute! If Carnelian is one of your favorites, then click here to see all of the Carnelian items on the site! You are visitor number 5,409 to this page.